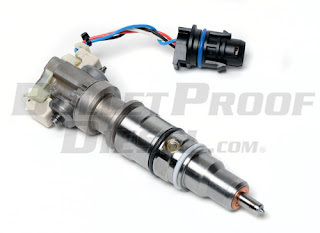 6.0L Fuel Injectors - Lousy, or just Scapegoats? However, there was a time - from about 2003 to 2008, when the common 6.0L problems had not been identified and catalogued to the extent that they are now. And in those days, people loved to point at 6.0L injectors and call them 'the culprit'. I was one of those people. I had, in my possession, a 2003 F-350 that constantly had injector problems. There were other issues too, but the injector thing was really bothersome because I had them replaced over and over again, with no idea how to stop it. To cut right to the chase, some of the same ol' culprits were causing my injector issues. For example, a stock oil cooler that is plugged up with coolant debris isn't going to be effective at its job: keeping oil cool. And when oil isn't as cool as it should be, viscosity is affected. The HPOP draws oil from this reservoir. If the oil is too hot, issues can result. The high pressure oil pump (HPOP) pulls oil from a reservoir that the stock oil cooler services. The pump activates the injectors via high-pressure oil rails that sit on both sides of the engine. However, when oil temperature/viscosity is at levels the system wasn't designed for, problems can result. Because injector function is affected, folks often assume the injectors are bad. I admit, I fell into this trap. Additionally, a bad Fuel Injection Control Module (FICM) can create problems that often get blamed on injectors. When the output of the device drops below 48 volts (as older units sometimes do), injector function suffers and truck owners see hard starts and a rough idle. Many folks quickly assume the injectors are failing, but it's the FICM that is causing issues. Interestingly enough, when a 6.0L's other pattern failures are corrected, we don't see a lot of spontaneous injector failures. In fact, we've seen stock injectors last for hundreds of thousands of miles. 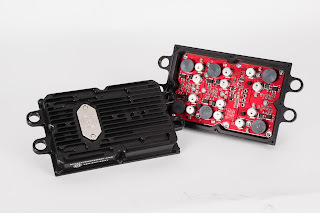 Bullet Proof Diesel, of course, offers solutions for malfunctioning oil coolers (check this out) and a military-grade FICM capable of 58 volts. That said, we still recommend OE injectors. Replacing injectors over and over again is supremely frustrating, as well as expensive. Checking the conditions in which they function - including oil temperatures and FICM voltage - can highlight that injectors are sometimes just victims of other issues within the engine, and not always the problem. If you have any questions, give us a ring at 888-967-6653 or email us at customerservice@bulletproofdiesel.com. The verdict? These injectors work fine when other 6.0L pattern failures are corrected!